A slim flask for transporting beverages to strange and distant lands where there are no baristas. 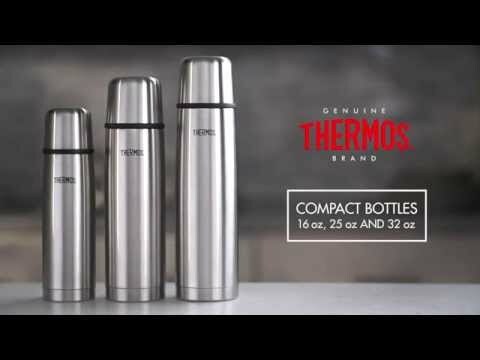 Made of unbreakable stainless steel, double walled for temperature retention, hot or cold. Twist and pour stopper lets you pour without losing heat. Insulated cup is cool to the touch when full of hot liquids. 500ml model fits most automotive cup holders.